Delivering professional, expert assessments and treatment. 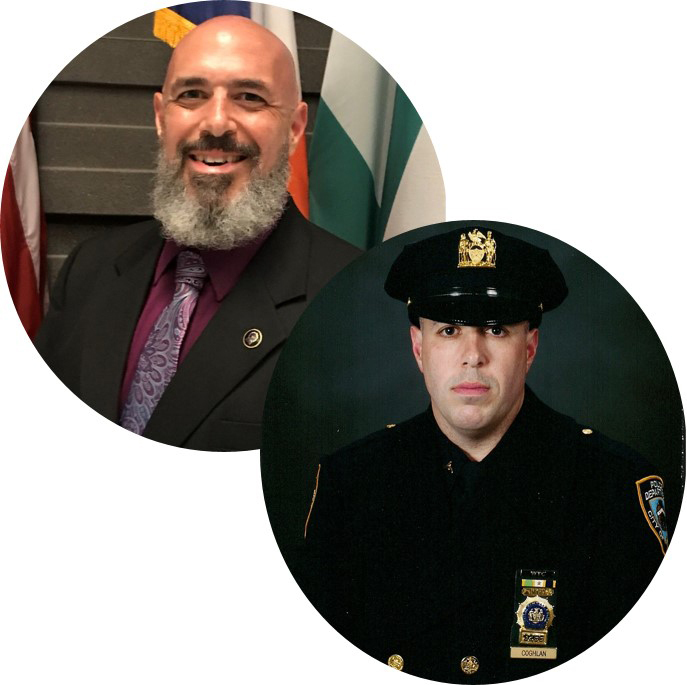 Dr. Coghlan is a retired NYPD Detective and a Clinical Psychologist specialized in police and public safety psychology. Appointed to the NYPD in 1997, Dr. Coghlan retired in 2018 as a Second Grade Detective. Dr. Coghlan has worked clinically with police officers since 2010, and brings a first-person understanding of both police work and the practice of psychology to his clinical work and the assessments he conducts. He has conducted hundreds of candidate pre-employment and fitness-for-duty evaluations, and brings the expertise and relatability necessary for clinical work with first responders. Dr. Coghlan is licensed to practice psychology in New York and New Jersey. Have you received a candidate disqualification notice? Filing an appeal with an independent evaluator is a must. These are highly-specialized assessments, and Blue Line Psychological Services delivers the expertise you need to effectively appeal the disqualification, win a favorable decision, and move forward with your career. Dr. Coghlan has performed hundreds of candidate pre-employment evaluations on both civilian and uniformed positions for numerous agencies including the NYPD, United Nations Police, NYC Health & Hospitals, Taxi & Limousine Commission, New York City Department of Health and Mental Hygiene, and the Metropolitan Transportation Authority. Dr. Coghlan has also conducted “tie-breaking” appeal reviews for NYPD candidates’ NOPD appeals for the rank of Police Officer. With expertise and understanding, Blue Line can help you contest your proposed disqualification and move forward with your career in public service. Blue Line Psychological Services is a safe-haven for first responders. Whether you are seeking help on your own, or have been referred by your agency, Blue Line offers a safe, discreet treatment space. Blue Line understands and respects the needs and concerns that are specific to first responders, and provides professional, culturally-competent treatment. Blue Line Psychological Services understands police culture, including the organizational and operational stressors inherent to police work, and incorporates this cultural-competence into the treatment of first responders. Has your agency referred you for a Fitness-for-Duty Evaluation (FFDE), or are you looking to appeal the determination of a FFDE performed by your agency? Blue Line Psychological Services provides the expertise required to conduct this very specialized evaluation. Fitness-for-Duty-Evaluations are specialized assessments which require expertise in police and public safety psychology, and Blue Line Psychological Services delivers such expertise.